Home » Sheets » Best Sheets to Keep You Cool: Moderate Your Temp! Many of us are stuck tossing and turning all summer long because we can never get cool and comfortable enough to fall asleep. And, no matter how many times we flip our pillow over, we can never seem to find the cool side. To help you put these hot nights behind you, I have put together this buying guide for the best sheets to keep you cool. Sheets made of 100 percent natural fibers will serve you best. This is because they generally breathe better when compared to materials that are manmade. Since people tend to sweat when they sleep, the improved air circulation keeps the air under the sheets from becoming stifling. During the night, one person can lose up to a quart of moisture on average. Sheets made of natural fibers are able to wick moisture away from your body. Few synthetic fabrics can do this. Natural fibers include bamboo, silk, and specific cotton materials like jersey and sateen. I will examine the differences between these options later in this guide. Well, you personally do not need to count the threads. However, you should pay attention to the thread counts listed on the packaging. 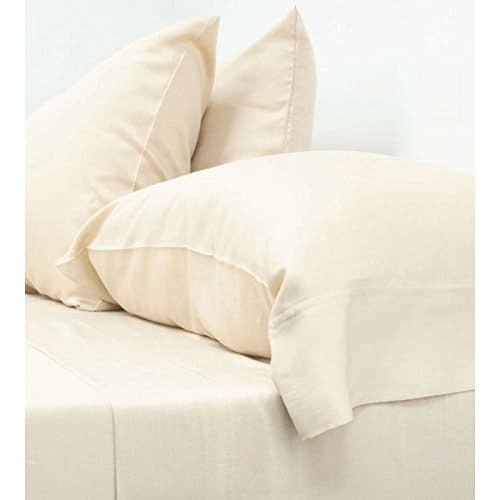 The comfort level and quality of the sheets is indicated by the thread count. The thread count number refers to how many threads are used per square inch in the manufacturing of the fabric. Sheets are often considered softer if they have a higher thread count though this is not always the case. Thread counts range from 200 to 800 for the most part. How Heavy Are the Sheets? Another important factor to consider is the weight of the sheets. For instance, silk and sateen sheets usually drape close to the body and are usually light in weight. Unfortunately, this can make you even warmer by trapping the heat. On the other hand, cotton is typically heavier but breathes better. This means the air is kept away from your body. As you consider your alternatives, keep the weight of the sheets in mind. When you are looking for something to cool you down, color also plays a factor. Any light that comes through your windows will be reflected by white sheets and other light colors. This will further reduce a heat source that could keep you warm. One of the most readily available sheet materials is cotton. The fabric breathes well and is lightweight. Cotton comes in numerous different types of weaves and can be quite luxurious. Sateen, jersey, and percale sheets are the most popular weave types. Sateen is often used as an affordable alternative to silk due to its similar texture. On one side, it is woven with a shiny, smooth finish. On the other, there is a matte finish. Make sure you check for 100 percent cotton since sateen sheets sometimes contain rayon, which can lower the air circulation. You can expect good air circulation from jersey sheets, which stay warm when it is cold and cool when it is hot. 100 percent Egyptian cotton is used to make quality jersey sheets. They are a good middle ground between percale and sateen. Percale sheets feature a flat weave. The fabric is finely textured, durable, and crisp due to the high thread count. Percale is the perfect choice for those of you who like the feel of stiff sheets. Cotton sheets are a favorite choice for the best sheets to keep you cool since they are relatively inexpensive and versatile. Natural silk sheets, on the other hand, can get quite expensive. However, they can regulate the body’s temperature well and are comfortable. Plus, not all silk sheets are created equal. Some sheets may look real, but they are often made of polyester, nylon, or a blend of other synthetic fabrics. These generally do not keep you as dry and cool as natural fibers. When considering sheets, bamboo is one of the best materials for keeping cool. It is often compared to cashmere. Bamboo sheets adapt well to extreme temperatures and promote good air circulation. No matter how much you perspire in your sleep, you can wake up comfortable and dry with bamboo since it is three times as absorbent as cotton. Fabric made from bamboo retains the original plant’s antimicrobial and antifungal properties. Bamboo is also considered to be one of the better materials as far as the environment is concerned. Lightweight wool is another good, natural fiber you might consider. It does a good job of retaining cool air in hot weather. Cariloha produces a broad range of products that are derived from bamboo. Thanks to the use of bamboo fabric, these sheets are twice as soft as cotton. Cariloha prides itself on producing bamboo using sustainable processes that are free from chemicals or pesticides. The sheets are breathable and wick moisture away from your skin. 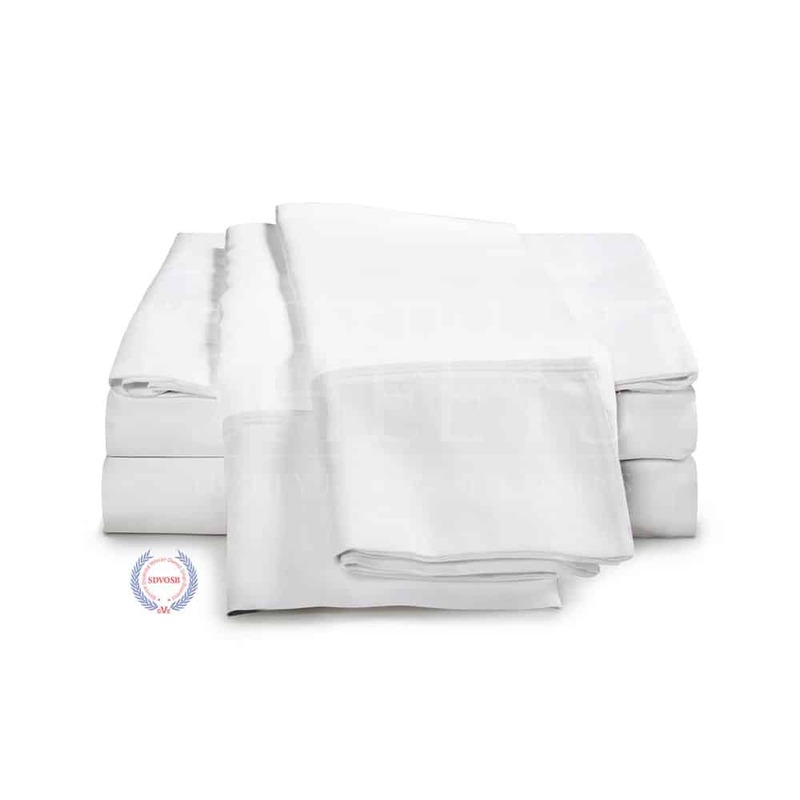 They are on the most expensive side at nearly $200, but they do come with a 100 percent quality guarantee that allows you to exchange your sheets if you are not completely satisfied. These might be great sheets for consumers concerned about the environment and who are willing to spend a little extra for comfort. There is one material that I did not cover above because it is fairly new to the sheets scene. Tencel sheets are made from raw eucalyptus trees. This material has the ability to keep you warm in the winter and cool in the summer. Due to its relaxation and allergy-free qualities, tencel is often used in spa and skin care facilities. Tencel is 50 percent more absorbent than cotton. With tencel being so new, this might be the best sheet option for people who are interested in trying out the latest products. However, you do need to be careful cleaning these sheets since they are a bit temperamental. You can still wash them in most washing machines. Though these cotton flannel sheets may seem like they would keep in the heat and make you sweat away the night as you toss and turn, the opposite is true. Remember that cotton breathes well. This is true with these sheets. The fabric is clean and crisp out of the package. And, as you wash it, it just gets softer. Pinzon products are imported from Portugal. This set comes with flat and fitted sheets as well as two pillowcases. There is a double-napped finish on both sides for softness. This might be a good sheet set for those of you looking for something that you can use all year round. 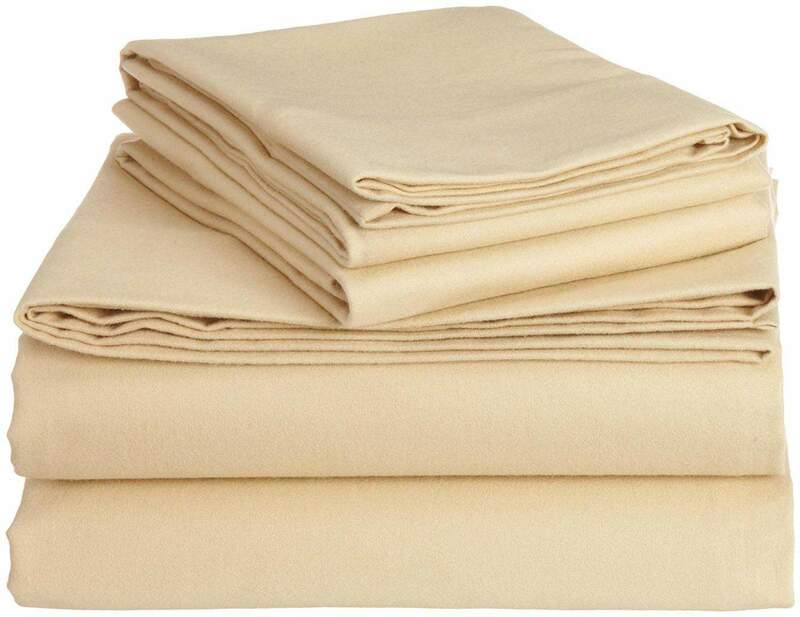 This Egyptian cotton sheet set is made by eLuxury Supply, a company that is owned and operated by veterans. They are a fairly new business, but they are already one of the best quality names in the bedding industry. These 100 percent Egyptian cotton sheets have a thread count of 1000, which pretty much guarantees softness. They have an elegant four-inch hem with piping on all of the sheets and are easy to wash in your washing machine. The only downfall with these sheets is that they are quite expensive, but can you really put a price on a good night’s sleep? This is a great choice for people with a little extra to spend and a need for softness. 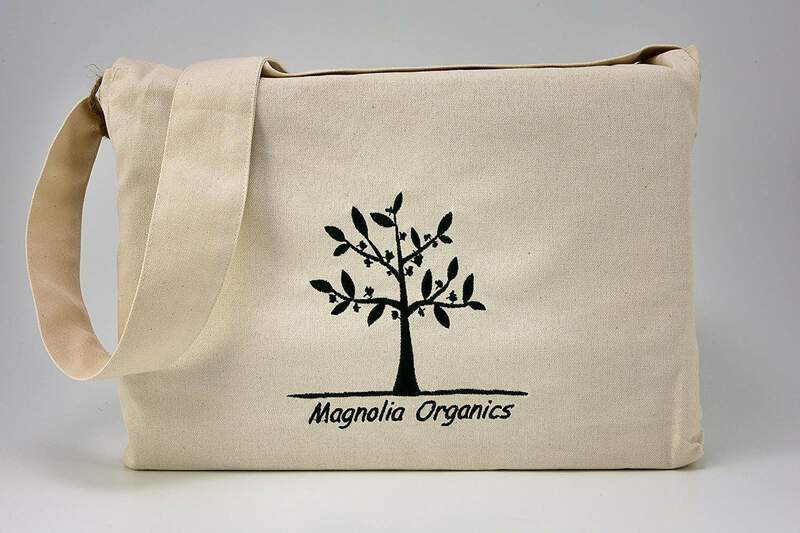 Magnolia Organics specializes in manufacturing eco-friendly home and baby products. This is true with the Dream Collection Sheet Set, which is made of 100 percent organic cotton. Specifically, the sheets are 300 thread count sateen. The sheets are ethically and responsibly made in India. This is certified to the Global Organic Textile Standard by a third party. I found these sheets breathe well and keep me cool throughout the night. I might recommend the Dream Collection Sheet Set to those of you who are looking for an affordable and environmentally-friendly material that can keep you cool. These are just some of the best sheets to keep you cool. What may work best for me, may not be the best for you. So, I strongly suggest that you do your own research. This guide should serve as a good jumping off point. Good luck in your search and sleep well!